By Jake Rocheleau in Coding. Updated on October 31, 2017 . Check out our guide below and let us know your thoughts and questions in the comments section. CSS3 techniques have skyrocketed into mainstream web design. One of the most notable properties is border-radius which allows for on-the-fly rounded corners. These look beautiful on practically any button, div, or text box. The only problem is the limited support between web browsers. Many older browsers including Internet Explorer 7 do not support this property. So in order to keep rounded corners working for all standard browsers you’ll need to build a fallback with images. 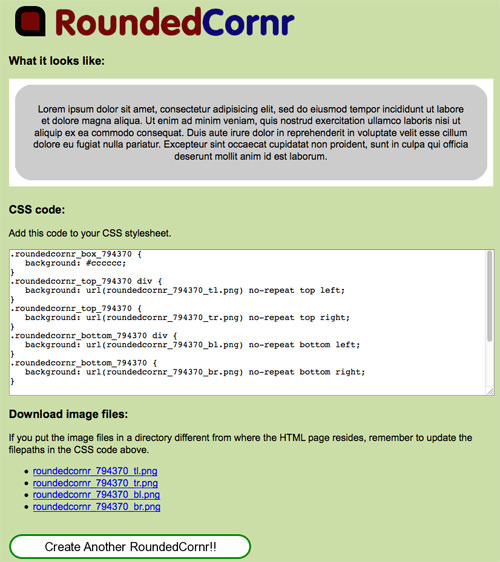 The standard code uses regular CSS3 properties on the main div while accommodating for images on each of the corners. You’ll likely need to set up some extra divs within the main container which are used to display corner images in the background. To save yourself from stress I highly suggest using an app like RoundedCornr. It is an in-browser web app which generates rounded corner CSS using both CSS3 and images. This will be especially useful to designers who do not have access to graphics software such as Photoshop or GIMP. Another alternative solution you can try is just openly displaying each of the menus in IE6. You can use Internet Explorer conditional comments to apply stylesheets based on the browser version. Of course, this won’t be the prettiest solution, but it will simply work. I’m sure we all know about the rendering issues coming out of Microsoft’s Internet Explorer. 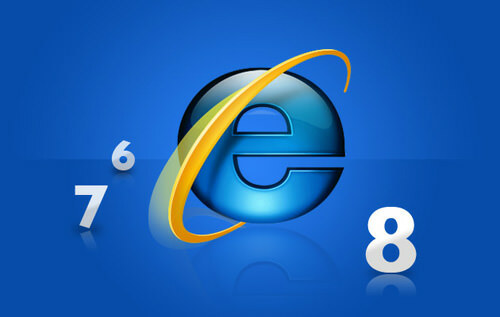 I can give a bit of credit for their latest IE8 and future prospects with IE9. However there is still a small audience running IE6/IE7 and you really can’t ignore them just yet. One of the many annoying bugs with Internet Explorer is the deal with opacity. The alpha-transparency settings in CSS3 can be altered through the opacity property. Yet in the way of Microsoft only Internet Explorer 9 currently supports this feature. All you need to do is include the line above within any element requiring transparency. Notice that similar to the CSS3 property, all child elements will also inherit this opacity change. If you are looking for a newer method which targets IE8 specifically, check out the code below. It behaves in the same manner as our filter property is only recognized by the Microsoft IE8 parser. Buttons are a fantastic web element for all kinds of interfaces. They can behave as form inputs, navigation items, or even direct page links. With CSS3 it’s now possible to format buttons with many unique styles such as background gradients, box shadows, rounded corners, etc. However you cannot trust that all your visitors will be able to render these newer properties. When building a fallback design for buttons (or even similar UI elements) there are two distinct options. The first is to include a background image designed exactly as the CSS would look. This can be easily accomplished in Photoshop. However if you’re not an expert in the software then this may be troublesome. The alternative is to fallback to a plain background color and simpler CSS styles. I’m using some of the code examples from CSS-Tricks great post on CSS3 gradients. 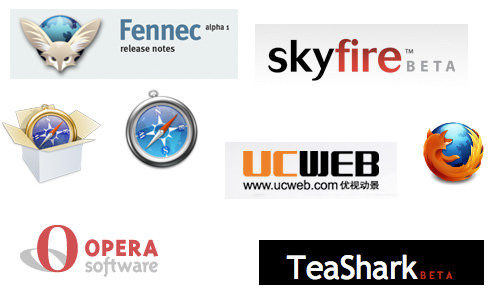 All the major browsers including Safari, Firefox, Chrome, and even Opera support these properties. The area where you’ll run into issues is in the support of legacy browsers: older Mozilla engines, IE6/7, possibly even Mobile Safari. The only small issue with solely using images as a fallback method is that you won’t have an active state change when the user clicks on a button. You could build two different images for these regular vs. active states, although it would take some extra work. This reason alone may push you to use a solid background color instead of fallback images. Try out a couple of different solutions to see which looks best in your layout. Another huge trend in 2012 is the popularity of mobile Internet browsing. Smartphones are everywhere and data over 3G/Wi-Fi is becoming more and more accessible. Thus many designers will be looking to provide a fallback layout for mobile users. A couple of popular mobile web browsers will render pages similar to a desktop environment. Mobile Safari and Opera are best known for this, even supporting many common jQuery scripts. But these pages are not always mobile-friendly and there is room to expand on UX. Now the other alternative is checking through a backend language such as PHP. You can check for a variable known as the HTTP_USER_AGENT. Dozens of websites will turn up if you google these terms. However I still recommend the Detect Mobile Browsers link I added in the previous paragraph. The site has free downloadable scripts for parsing not only in PHP, but also tons of other popular backend languages. These include ASP.NET, ColdFusion, Rails, Perl, Python, and even server-based code such as IIS and Apache. 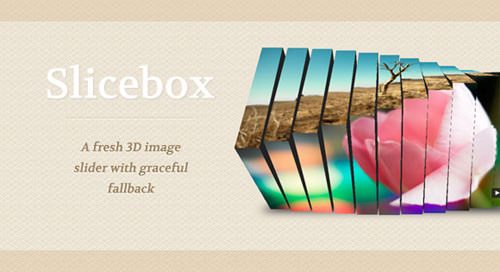 My favorite CSS3 freebie from 2011 probably has to be the Slicebox 3D Image Slider released by Codrops. It utilizes beautiful CSS animation transitions in browsers which support them, currently in Google Chrome and the latest in Safari. It’s weird that even the most recent Firefox or IE9 release still can’t use these transitions. The best part about this code is that it’ll still fallback to provide basic transition effects between the images. Granted much of the animation is performed through jQuery, but the standard CSS fallback option is still very reliable considering how many browsers cannot support flashy CSS3 animations. Alternatively Codrops also just recently released another sliding images panel which utilizes even more creative CSS3 techniques. This image slider is created using background images in CSS, so even without the transition effects it behaves very smoothly. There are possibly hundreds of thousands of developers reliant on these providers. What would happen if any of the links were broken for whatever reason or the servers went offline? It would be a good idea to host a local copy and implement this only if you would need it. Well this great fallback code snippet from CSS-Tricks lets you do just that! 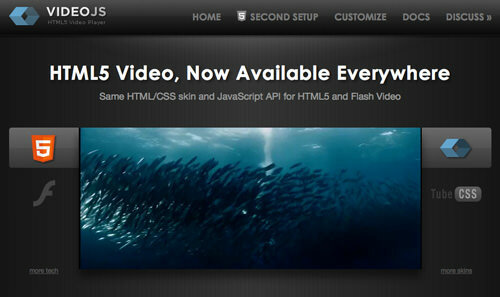 HTML5 has opened the door for some fresh cool styles to build websites. Part of this enhanced web experience is through forms and input elements. 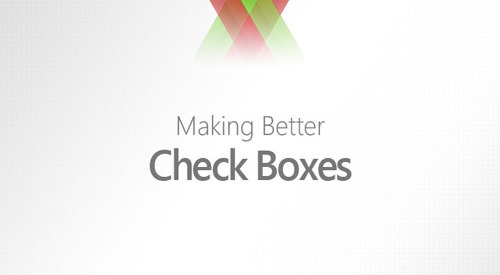 Checkboxes are just one example which can be heavily customized to fit your needs. 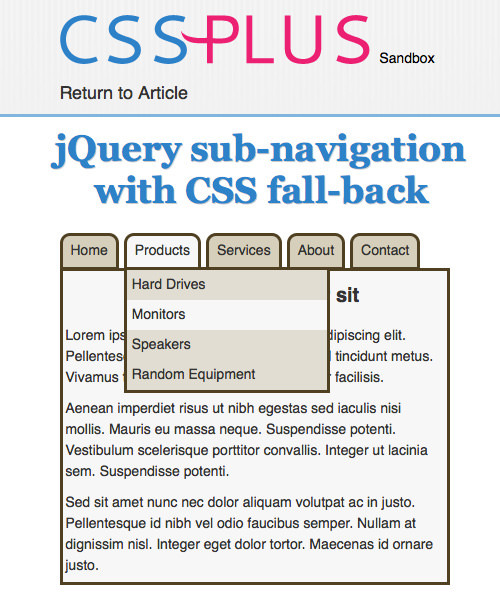 I ran into this wonderful CSS/jQuery tutorial posted back in early Spring 2011. It offers a simple method of creating Apple-style switches for your checkboxes which gracefully degrade in older browsers. The code uses background images to replace the on/off styles between user interactions. The new HTML5 specs have been very progressive in many areas. Both video and audio elements have enhanced native support for a large number of media files. However it does turn out that between the HTML5-supported browsers they do not all agree on file types. Mozilla Firefox generally supports .OGG video which you can use VLC as a converter. Google Chrome & Safari look for .MP4 or H.264 encoded .MOV files. Because of these differences you would normally have to include three different video formats – the two listed above along with an .FLV fallback. Following a similar route the html5media project offers a method for consolidating all streaming media into one filetype. Unfortunately even VideoJS isn’t perfect with every single browser. What the html5media project has tried to do is work around browser incompatibilities to support any video file type amongst all platforms. And it actually works quite well! But trends are indicating that we’re approaching a more supportive era in web design. Never before have more browsers and web standards been agreed upon, especially within CSS3 & HTML5. These techniques are just some of the many to consider when building standards-compliant web pages. As a web developer, you’ll constantly want to be following the latest design trends and adapting to best suit your audience.